Biltmore is much more than a wedding location; it’s a totally immersive experience for you, your wedding party, and your guests. Our experienced staff is eager to work with you to design the wedding ceremony, reception, and wedding party events of your dreams. Let us help you become a Biltmore Bride™ today. 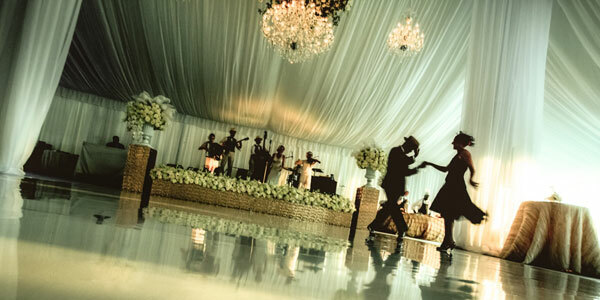 We offer everything you need to celebrate your special day, including a wide range of memorable settings. Choose from Amherst at Deerpark (our newest and largest collection of venues), gracious Lioncrest Grand Ballroom, casually elegant Antler Hill Barn, the stunning hilltop at Diana, and many more. For more services and planning information, please submit an online request. *Based on availability, some restrictions may apply. Ask your Wedding Event Specialist for details. An appointment is required to ensure that you are able to gain access to the property and to meet with a Catering Sales Manager to discuss all the details necessary to make your special day run flawlessly as well as to answer any questions you may have. We invite you to meet with a Catering Sales Manager. Please call us at 800-211-9804 to arrange a meeting. Appointments are taken Tuesday through Saturday and are on a first-come, first-served basis. We have many different venues that can accommodate your wedding events. The size of your party will help to determine which locations would be the best fit. Once you have determined your wedding reception location, a Catering Sales Manager will be able to assist you in finding the perfect locations for all your other events. Learn about our venues. Can I just host my ceremony at Biltmore? 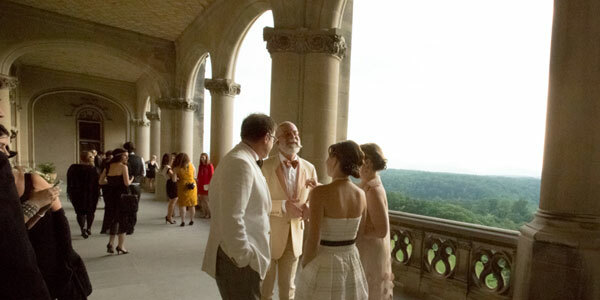 In most cases, Biltmore requires that both the ceremony and reception or the reception only be held on property. We do have the ability to host a ceremony only at The Inn on Biltmore Estate. Please speak to a Catering Sales Manager about pricing and availability. Afternoon events must be completed by 4 p.m. Evening events start after 6 p.m. All timing is based upon your specific event. To begin, you must first contact us with a location and date in mind. From that point, the Catering Sales Manager will send a Catering Sales Agreement, which you will have 10 days to sign and return with your initial deposit. Absolutely; the majority of the weddings we host are destination weddings! Our Catering Sales Managers will work with you through email, phone conversations, and mail to make sure that all the details are covered. Our Catering Sales Managers can work with you to ensure that your wedding is customized to reflect your specific vision. We do have a recommended vendor list, but you are welcome to utilize vendors of your choice. We do strongly recommend using vendors that are familiar with all Biltmore policies and locations. Your Catering Sales Manager can elaborate. Biltmore offers a variety of activity options for your guests including tours of Biltmore House, the estate, and Winery, walking and hiking trails and guided fly-fishing. There are swimming pools located at The Inn on Biltmore Estate and Village Hotel on Biltmore Estate. We also offer both self-guided and guided biking trails, rafting, horseback and carriage rides, Segway tours, sporting clays, and Land Rover Experiences. Learn more. All food and beverage items purchased or consumed by attendees on the estate must be supplied and prepared by the estate. At least seven business days before your event, you will need to inform your Catering Sales Manager of the guaranteed attendance for all food and beverage functions. Please contact your Catering Sales Manager to have your name placed on the Gate List. 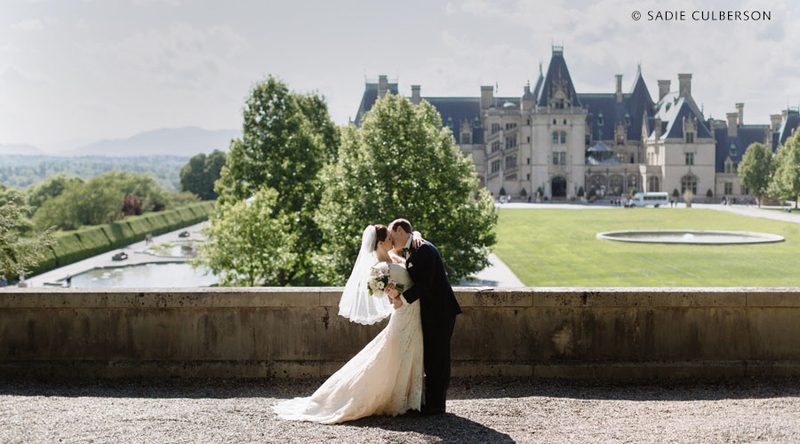 You’ve made Biltmore part of your special day; now make it part of your life together. Register for Biltmore For Your Home products, sold exclusively at Belk. From bedding to bath and serveware to cookware, these high-quality items will transport the timeless beauty of Biltmore from our home to yours. View products and register now.